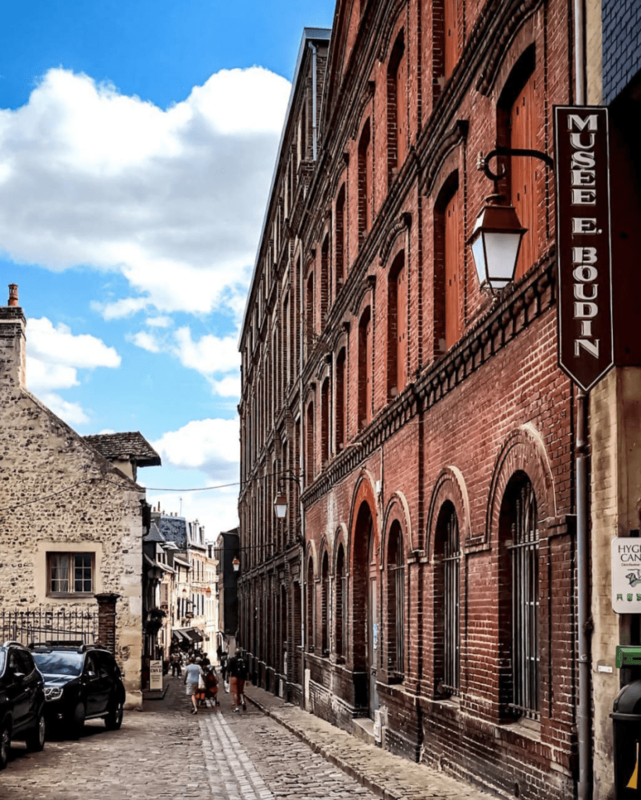 Before planning your getaway to Honfleur France, you should know how to get around Paris first! Make sure to get a copy of our Paris Public Transportation Guide! Honfleur France is an absolutely charming town located in Normandy, in northern France. The town’s history dates back over 1,000 years, to medieval times. Those of you that love medieval architecture are in for a treat! The town center is lined with typical half-timbered houses that are particularly well preserved. 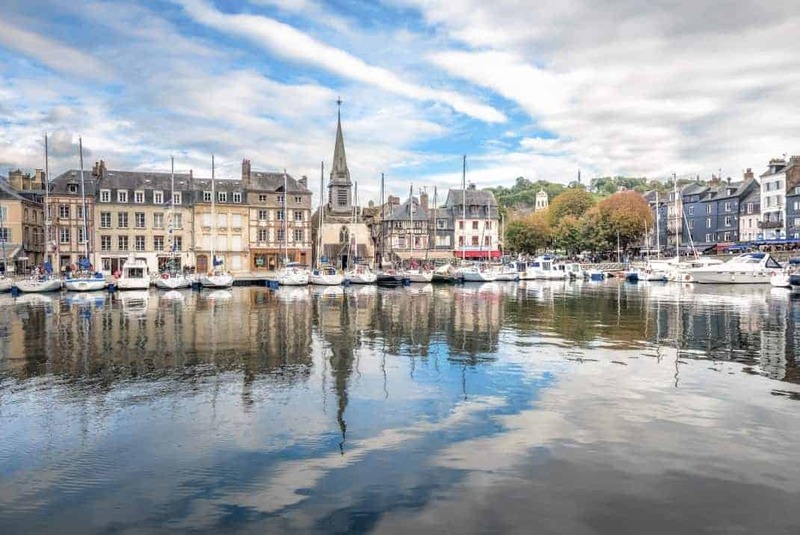 Don’t miss Honfleur while you visit Normandy. Honfleur France was an important transit point for goods starting in the 12th century. It was a crucial stop for items transiting from the sea and then on to England. The lovely port attests to the city’s seafaring past. The port and harbor are now home to numerous restaurants and shops, making it the ideal spot to grab lunch and do some relaxing afternoon shopping. Though it’s a rather small town, it’s bustling and there are many things to see. From the cobbled alleys of downtown to the picturesque harbor. 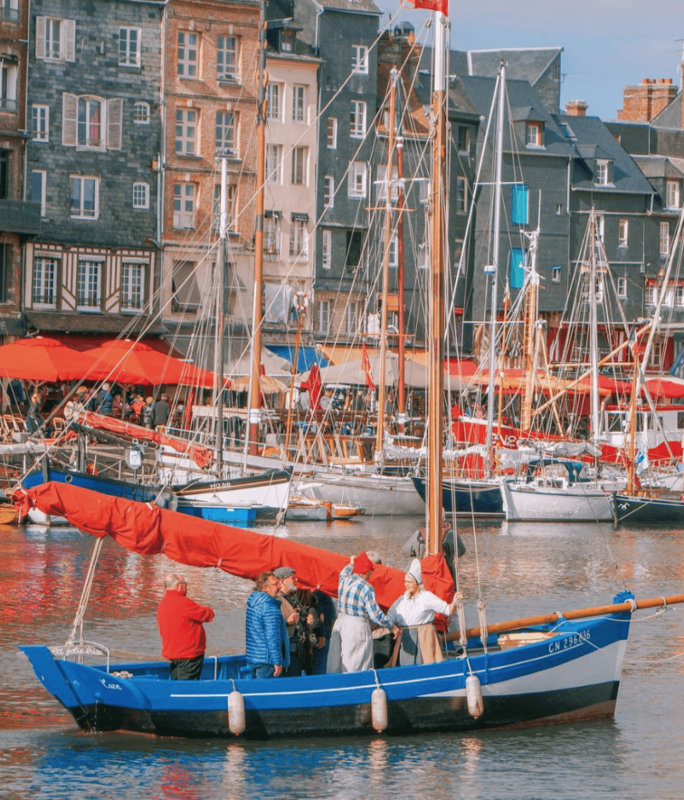 We’ve put together a list of our favorite attractions, restaurants and hotels so that you can fully enjoy your time in Honfleur France! Honfleur France is especially lovely in the spring and summer months. Your best chances of nice weather are definitely from July to early September. You can of course visit during the fall and winter but it can get quite cold and windy. Honfleur France is an ideal city for a day trip. This will give you enough time to check out the main attractions and stroll along the old port. If you’re short on time, it can be squeezed into a half-day. It’s also a great base to spend the night and discover other towns and sites around Normandy, like Deauville and the Étretat cliffs for example. They’re just a short drive away. There is no specific dress code required when visiting Honfleur France. Make sure to dress for the season. Since it’s on the coast, it can get chilly in the morning and evening so we do recommend bringing a jacket, even when visiting in the summer. “Le Vieux Bassin” is the name given to the port of Honfleur France. A typical Norman port, it was built in 1681. It’s the city’s top must-see attraction. The picturesque buildings that line the port, with their narrow facades and slate roofs, are listed as historical monuments. The port is particularly lovely after nightfall, when the houses are reflected in the water. This church is one of the city’s major monuments. Built in the 15th century, the church is made entirely of wood. The impressive structure is the largest wooden church in France. This was possible thanks to the town’s shipbuilding know-how and skilled woodworkers. The bell tower, which is separate from the church, is made of oak and also a must-see! Eugène Boudin is perhaps Honfleur’s most famous local painter. The museum named after him is definitely worth a visit. The museum is home to a large number of local painters including Boudin, Courbet, Dubourg and Dufy. Each of the seven exhibition rooms has a different theme with one dedicated to regional history that features traditional Norman clothing and furniture. Visit the official website for more info. Going shopping is not exactly what you’d expect in a small town like Honfleur France, but that can change! 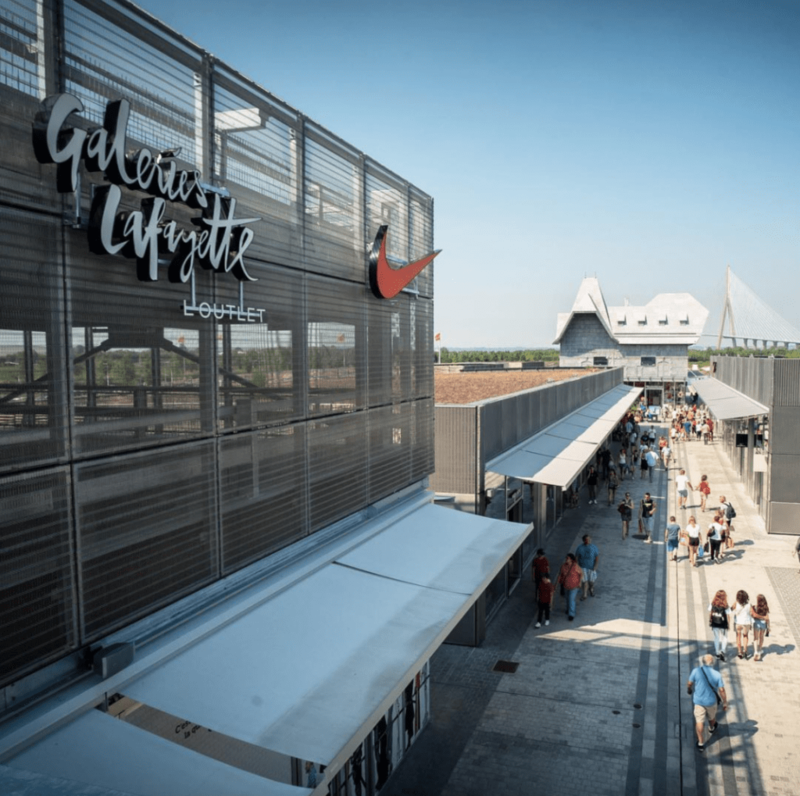 This outlet mall in Honfleur France had just opened very recently which explains its interesting architecture–a mix of the contemporary and traditions of Normandy. The outlet mall carries 90 brands like Nike, Levis, and even a Galeries Lafayette outlet. The outlet promises 30% off of all items all year round. On top of that, non-EU residents can also claim a VAT refund of up to 12%. Make sure you bring your passport with you! 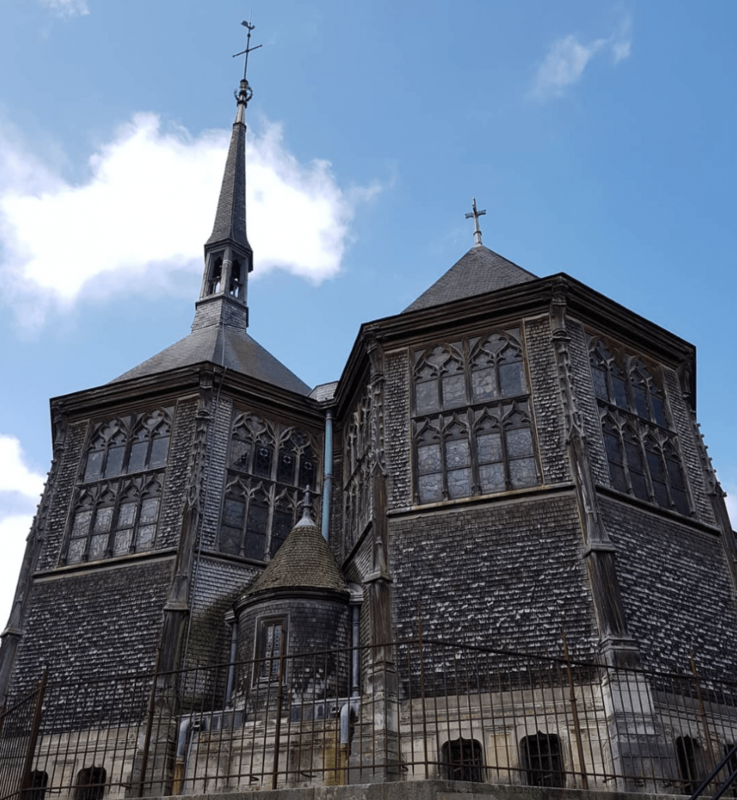 If you’re already in Honfleur France and don’t have a car, you can still get to the outlet mall by taking the HO Bus service which leaves from the town center. There are as many as 16 transfers a day from Monday to Saturday. 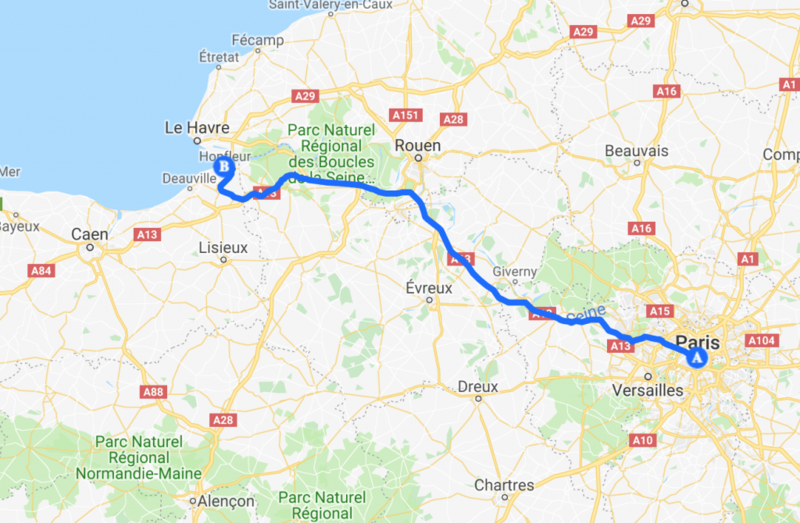 Just like our recommendations for traveling to other towns in Normandy like Deauville and Bayeux, getting to Honfleur France is easiest by car. 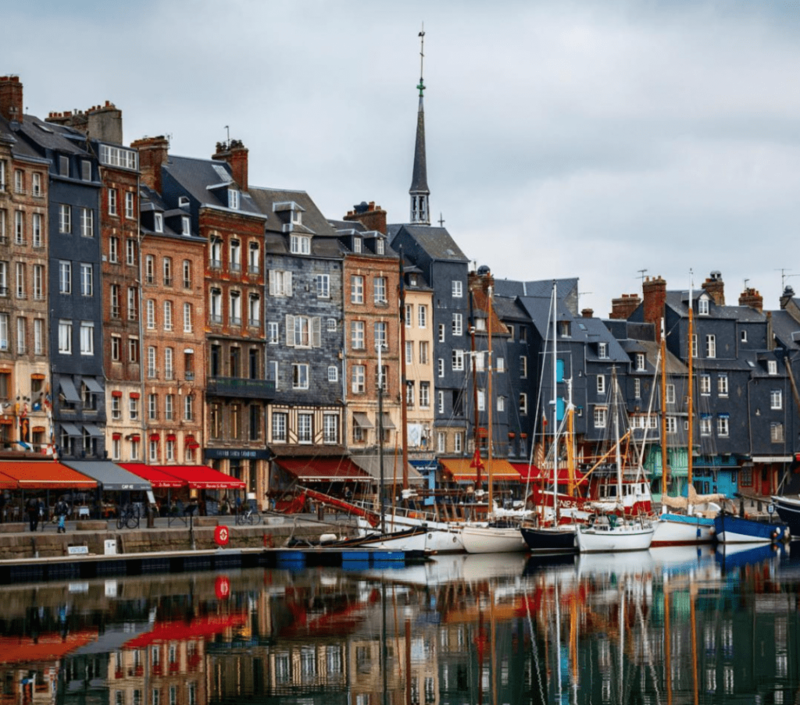 Honfleur France is a beautiful town but it is small and can be explored in a day and so having a car with you would be convenient for traveling to other nearby towns in the area. Unfortunately, there isn’t a train from Paris that stops in Honfleur France. 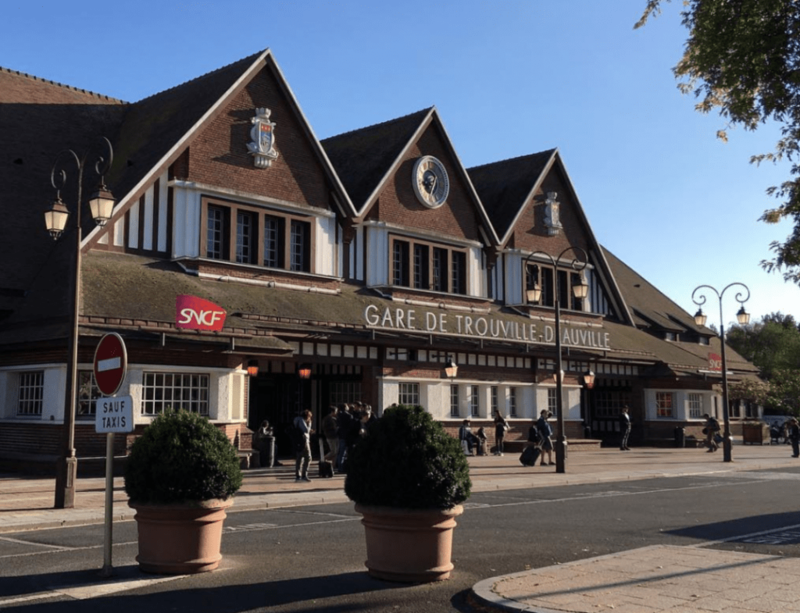 To get to Honfleur France by train, you first have to take a train from Paris Saint-Lazare station to Trouville-Deauville station. Once you arrive at the station, you can then take the Bus Verts du Calvados service that’ll bring you to Honfleur France. Book your train ticket to Deauville here. Book your bus ticket to Honfleur here. This is a good option for when your only intended destination is Honfleur France. 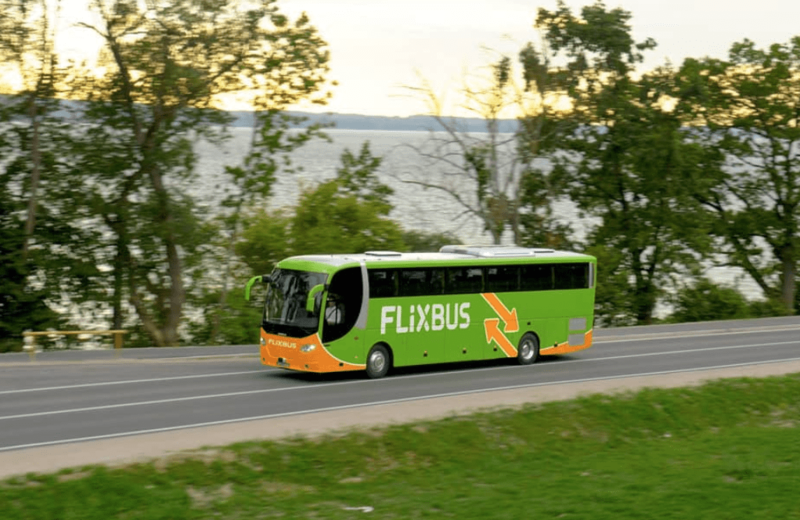 As of this writing, FlixBus is the only bus company that runs services between Paris and Honfleur France. It is also important to know that the service is only available from Fridays to Sundays. They have 2 bus services: one leaves from Paris-Bercy, the other from Paris Pont de Levallois. You can book your bus ticket here. Coolest Bars in London: 9 of the best!